Somewhere a tropical breeze is blowing through palm trees and waves are lapping on a sandy beach. Someone is reclining there, basking in the warmth; no doubt snacking on fresh pineapple or another tropical fruit before wading in the surf. That someone isn't me. Is it you? Where I live winter is not going anywhere soon. Another cold front has brought with it a fury of snow along with plummeting temperatures. Beautiful! And very cold. Still, I can enjoy the flavor of the tropics in the form of these tasty Sourdough Hummingbird Muffins. Nothing tropical about this view! "Hummingbird" is a term used for a classic cake that includes both bananas and pineapple. Sometimes coconut, maraschino cherries or pecans are added. My recipe uses the cherries and pecans, but not the coconut. There is always a fine line between a sweet muffin and a cupcake. This recipe hovers right on that line, but yes, I really do think they are muffins. I have, however, served them as a dessert, so you can see I continue to waver. Some, but not all of the ingredients. Missing soda, salt and sourdough. And pecans. Like many muffin recipes, this one goes together easily by mixing dry and wet ingredients separately and then together, just till everything is moistened. Prepare muffin tins (enough for 24-30 muffins) by coating with vegetable oil cooking spray. Allow to rest for 5-10 minutes before baking. Bake for 15-20 minutes or until lightly browned. Makes 24-30 muffins. Inside these mild mannered muffins is an explosion of tropical flavor! Taste and enjoy! So what do you think? Muffin or cupcake? 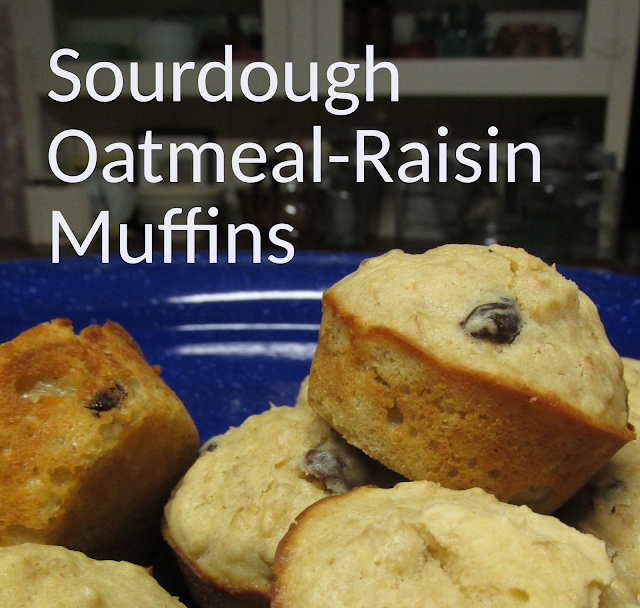 If you are not able to consume these muffins within a day or two, I would recommend freezing them. Due to the high fruit content, they do not have a long shelf life.